From the rear side cover: Told with quiet modesty, this is the story of one young RAF airman’s experiences in war and peace. Too young to join up when the war began in 1939, Peter Saville was one of the thousands of young men from Britain and the Commonwealth who volunteered to join the Royal Air Force (RAF) during World War Two. Inspired by the heroic exploits of 'The Few' during the Battle of Britain, most of these young volunteers dreamed of being fighter pilots, flying solo in a single-engine aircraft but as the war progressed there arose a greater requirement for aircrew to perform the various roles demanded by the large four-engine bomber aircraft now coming into service in large numbers. Consequently, an ambitious programme was established to train thousands of aircrew to man the aircraft of RAF Bomber Command. Since airfields in the UK were needed for operational squadrons it was decided that as many men as possible would train abroad under the Empire Training Scheme. 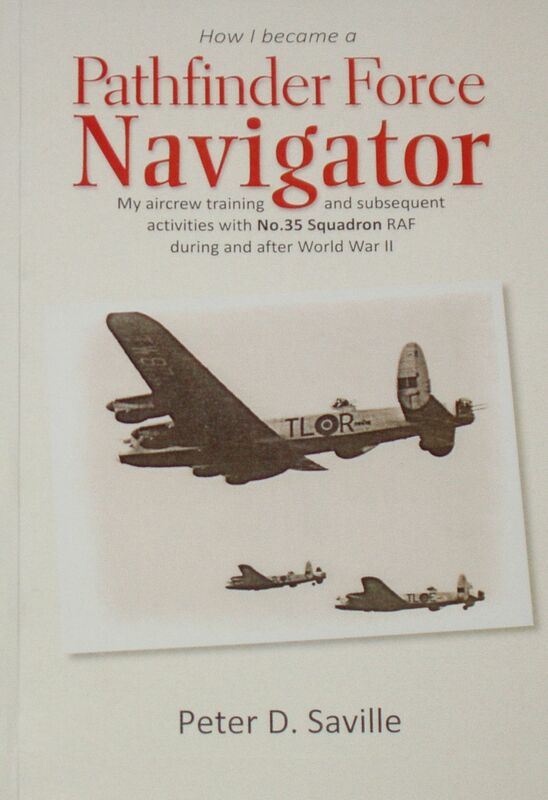 So it was that Peter set sail from the UK in October 1943, bound for South Africa, where he trained at East London (No.48 Air School) and Port Elizabeth (No.42 Air School) before returning to the UK to finish his training prior to joining an operational squadron. The unit he was destined to join was No.35 Squadron, one of the five original squadrons of the elite Pathfinder Force (No.8 Group) founded in 1942 to improve the accuracy of RAF bombing raids by marking targets with coloured flares to guide the main bomber force. Peter's experiences with this squadron in the closing month's of the war and the peace that followed are the subject of the second half of this eventful memoir.